JOHNSON CITY, TX - Many underprivileged Americans did not have access to hot breakfast in their formative years. Not having their peas porridge served hot, they had to start their day with cold cereal. The choice was between Post Toasties, Wheaties, Cheerios or Kix. The thousands of different cold cereal flavors we now find on the supermarket shelves had not been invented. In my estimation, one of, if not "the" greatest, innovations of the twentieth century was a cereal invented by Kellogg in 1963. Fruit Loops were born to fulfill the unkept promise of all the other cold cereals. The original flavors of the loops were orange, lemon and cherry. Since then, the unceasing, never-sleeping research and development department at Kellogg has added blueberry, strawberry, banana and melonberry to the list of flavors. As with all great developments, progress moves steadily forward. Some of the statistics I cite here may be a bit dated, but will serve as an example of the constant Froot Loops quest for perfection. The most obvious improvement is the changing of the word "fruit" to "froot". A survey of 135 American families showed that they did not recognize the word "fruit," but did connect "froot" with "loop," therefore, the change. The Froot Loops mascot, Tucan Sam, has remained nearly unchanged since his inception. There is an actual bird called a toucan that lives in South America. This is probably where the idea for the mascot came from. More on Toucan Sam later. The typical 10.3-ounce box of Froot Loops contains 1495 individual loops. Orange is the most prevalent color with 339 representatives per box. Following in descending numerical order are red (244), green (243), purple (230), blue (225) and yellow (214). The Kellogg Company provides free Froot Loops to schools, grades 1 through 6, as a teaching aid. American children spend an average of 35 classroom hours per week sorting Froot Loops according to color and then compiling data on their findings. A job that seldom goes unfilled these days is that of Froot Loop sorter. Of course, there is not a lot of demand for sorting Froot Loops except in the classroom and in the homes of deranged individuals who think gluing Froot Loops on a piece of cardboard is art. The typical 10.3-ounce box of Froot Loops contains 1495 individual loops. Orange is the most prevalent color with 339 representatives per box. The CDC (Centers for Disease Control) is currently looking into the possibility that many childhood diseases are contracted by students sorting Froot Loops. Anyone with a lick of sense knows the kids are going to sneak one or two of the loops they are supposed to be sorting into their mouths. Aside from the artificial colors, artificial flavors and totally empty calories, they get a good supply of germs and viri from each others grimy little hands. The CDC is about to propose legislation to prohibit the use of Froot Loops in classrooms for more than six weeks without replacing them. At the present time, after the sorting period and just before the English lesson where You Know is taught, the sorted Froot Loops are all dumped back into a large garbage bag to sit under the teacher's desk until additional sorting is required. At the end of the school year, a local dairy association provides free milk, and the well sorted Froot Loops are consumed by the students. 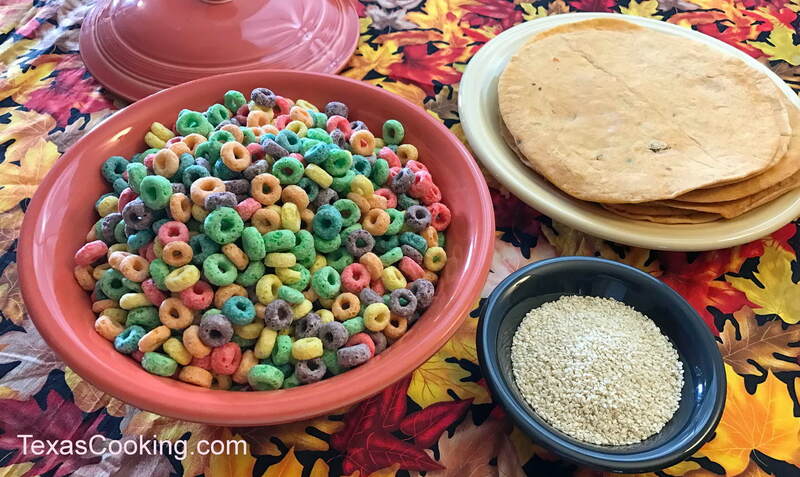 Borrowing from our great educational system, many soccer moms are having Froot Loop sorting parties to celebrate things like being potty trained before age thirteen and having something that was pierced not get infected. If you want to surprise your child with such a party, it would be a good idea for all involved to wait until cold and flu season is over. Runny noses, sneezing and coughing can just ruin the best planned Loop sorting party. If your family goes on frequent long driving trips with your children, you may want to consider making Froot Loop necklaces to entertain the kids on the way. Simply run a string through the hole in the center of the loop until you have about twelve inches of them on the string. Tie the string in a loop and put it around your childs neck. He/she can spend hours picking off the loops and consuming them or putting them up his/her nose. (To prevent your child from putting Froot Loops up his/her nose, get the nose pierced and a large ring installed. This is a sure-fire method of keeping the sinuses Froot Loop clear). Be sure and use a light duty cotton string when making the Froot Loop necklaces. In the event your child gets hung up in the hedge or something the string will break easily freeing the child. If you are making a necklace for the neighbor kid, use 70-pound test monofilament fishing line. I know everyone is really hungry now so why don't we have a Froot Loop Recipe Moment? You will need a fresh dressed toucan for this recipe. You can find them at most any Brazilian food section of your local supermarket. For the average family of four, a two- to three-pound specimen will be ample. Have your butcher clean and pick the bird, leaving the head and beak intact. Leave the feathers on the head. In a large skillet, sauté the scallions, garlic and celery in two tablespoons rendered duck fat until the mixture reaches a temperature of 146 degrees. Add the can of chicken broth. Bring to slow boil, add the rest of the ingredients and mix well. Cover and let sit for 13 minutes. Fluff with chopsticks. Stuff the toucan with the stuffing mix. Be sure and fill the bill. (Beak). Tie the beak shut with string. Cover head and beak with foil to keep from charring. Bake in 376F degree oven 1 hour and 22 minutes. Remove from oven. Remove foil from head. Serve on bed of popcorn.